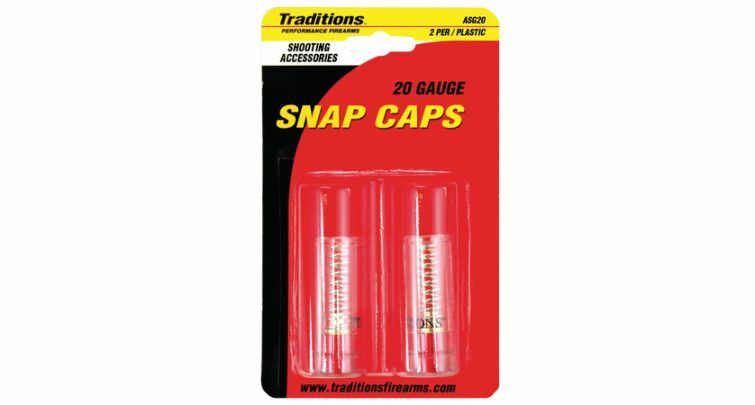 Snap Caps are made to protect your firearms by relieving the stress on your firing pins and firing pin springs. When you safely store your unloaded gun put a snap cap in the chamber and fire your gun to allow the firing pin to lay at rest. This will help prevent firing pins from breaking in the future. Snap Caps are also a great tool to practice dry firing your guns to teach safe gun handling improve your shooting skills and tune your trigger. Caliber 20 Gauge 2 per package.